Budokan Judo Club is continually progressing and improving itself, with a view to achieving our mission and vision for the club. Our Mission:To provide international standard quality training, to encourage participation in Judo activities in the community, specifically in the local area, and to preserve the traditional spirit and intent of Judo. 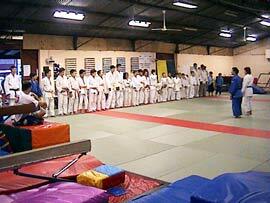 Our Vision:To be recognised in the Judo and general communities as the premium Judo training centre in Australia.